Logitech MX Master is an awesome mouse. It is one of the very best mice ever produced by the company. Not only because of the innovative horizontal scroll wheel on the thumb side of the mouse which enables effortless navigation, but also because of the high-performance laser sensor that brings great tracking accuracy on various surfaces. However, the company has also released Logitech MX Master 2S. 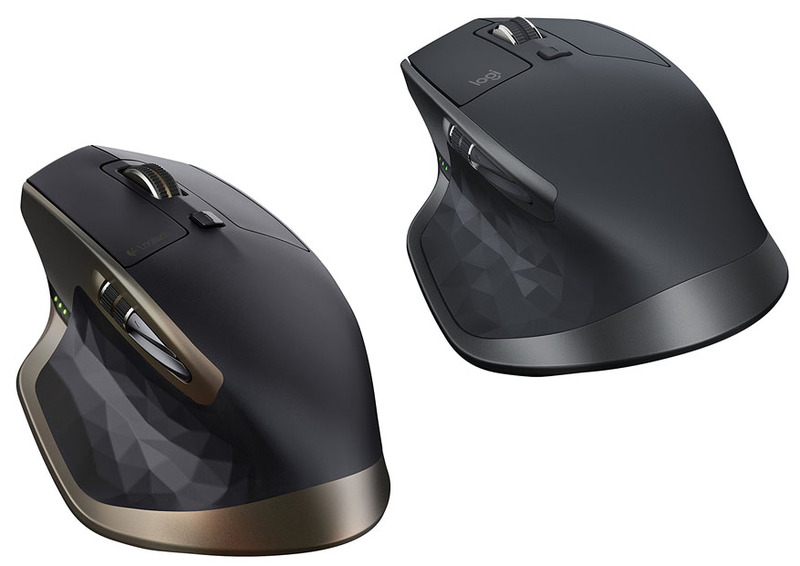 So, what is actually the difference between Logitech MX Master vs MX Master 2S? What improvements does the new model offer? If you put the two models side by side, you can see that they still closely resemble each other. There is a mini zoom button under the scroll wheel. On the left side, there are several programmable buttons and the horizontal scroll wheel. You can assign gesture commands by using the thumb wheel. The lower part of the body is curved ergonomically to create a natural feel. Note that they are both very different from the previous Performance MX model; see Logitech MX Master vs Performance MX. The old Logitech MX Master is armed with the Darkfield Laser Sensor that is able to track movements with high precision even on glass or high-gloss surfaces. This is a neat feature that enables you to use the mouse on virtually any surface. You don’t need to carry a mouse pad around. The default sensitivity level is 1000 dpi, but it is adjustable from 400 dpi to 1600 dpi in 200-dpi increments. The new Logitech MX Master 2S still uses the Darkfield Laser Sensor, but this one has been optimized with higher sensitivity levels. The maximum sensitivity level is 4000 dpi. Such high resolution can be very useful for CAD works, navigating a very large display screen, and gaming. Perhaps the coolest feature of Logitech MX Master 2S is the Logitech FLOW feature. The old Logitech MX Master is able to connect to three computers at once, but you need to switch between the units using a button and you still need to find a detour for file sharing. Logitech MX Master 2S comes with Logitech FLOW, which allows you to move the cursor over the edge of one computer’s screen to move to the next. This is a very cool feature that enables seamless integration. It is also a file-sharing hub for the three connected computers, as it enables you to copy-paste files from one computer to the others. Awesome, isn’t it? Finally, the difference between Logitech MX Mastervs MX Master 2S is the battery life. The old Logitech MX Master has a maximum battery life of 40 days, which is already very good if we consider how quickly it recharges. It can get enough power for a full day within 4 minutes of recharging. The new Logitech MX Master 2S has an increased battery capacity, which enables the mouse to last for up to 70 days. Seeing all the added features and improvements, Logitech MX Master 2S is definitely a great value for the money. It offers even higher resolution settings and better battery life. The FLOW control is especially very cool and useful, allowing you to integrate three computers seamlessly.